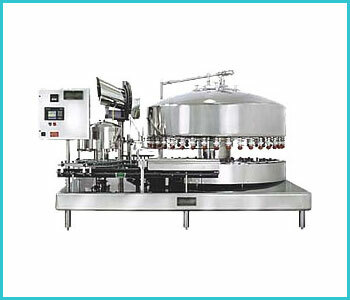 Rotary Filling Machine is used to fill water, juices and dairy products. It is ideal for bottled water. It includes dependable gear drive with perfect timing for optimum bottle handling and control. Heavy duty stainless steel frame with polished finish. Solid stainless steel legs and columns. It can even be set-up with a 3 head pick. Place capper for easy handling of complex bottle/cap combinations. Rotary filling packaging machine is a portable six station dial, with foil heat seal, and dual filling capacity. The dual fill option is also available which allow dual product in same container for example yogurt and strawberries in the same container.